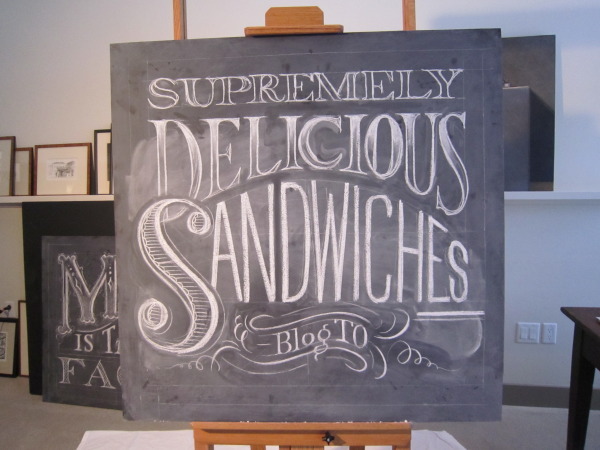 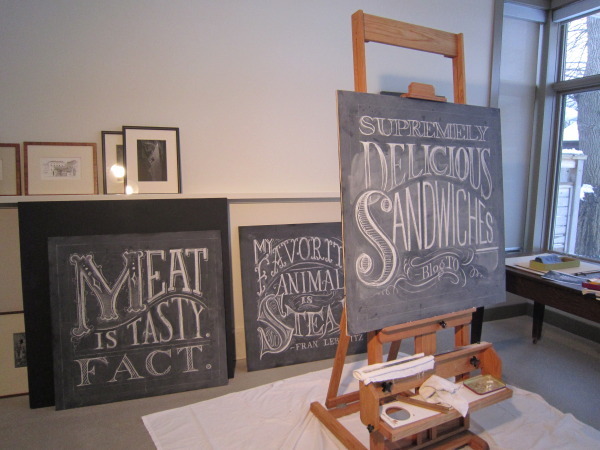 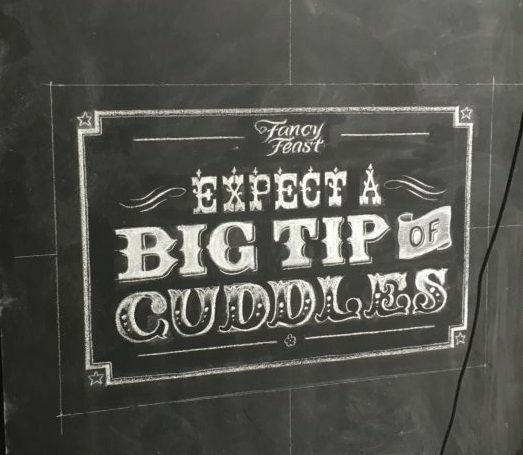 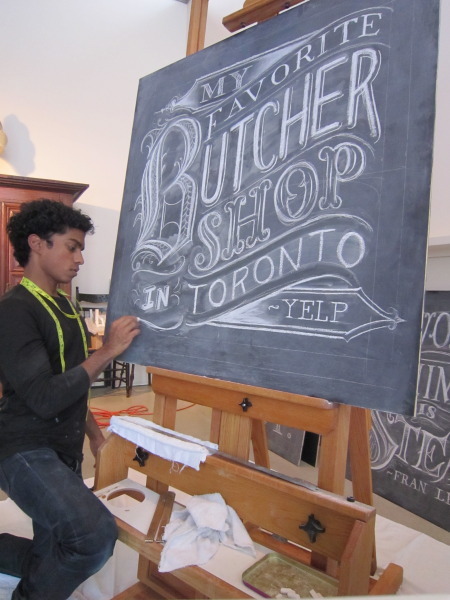 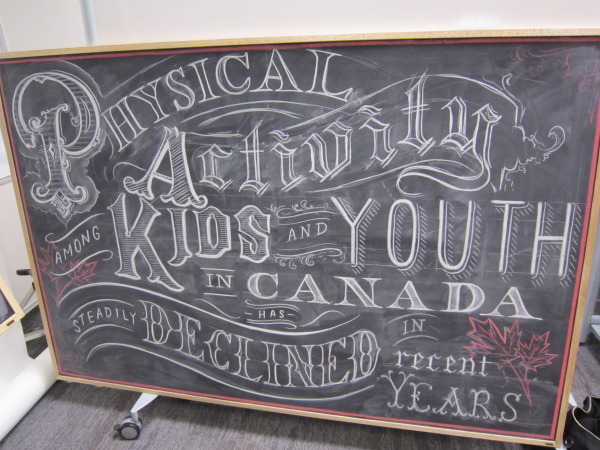 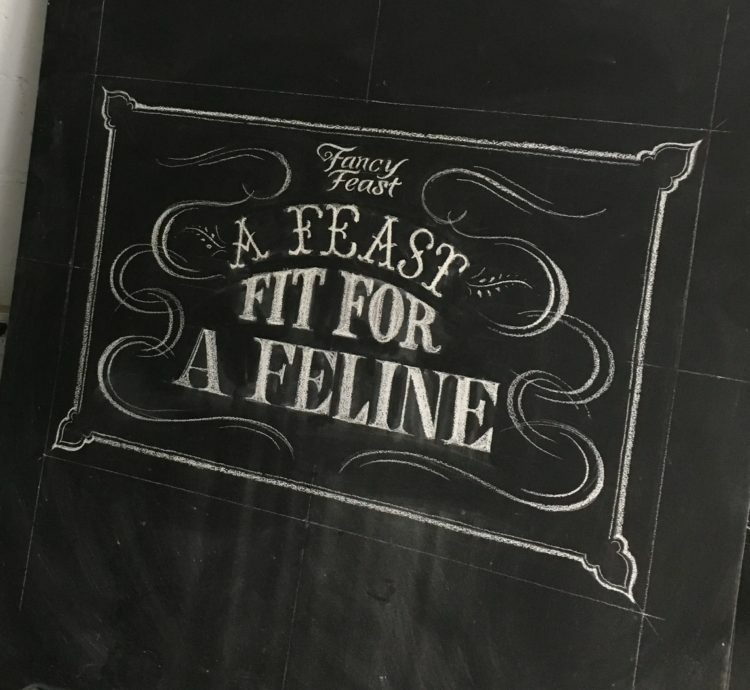 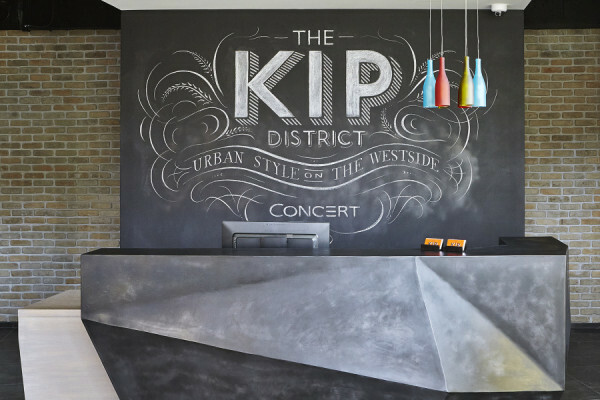 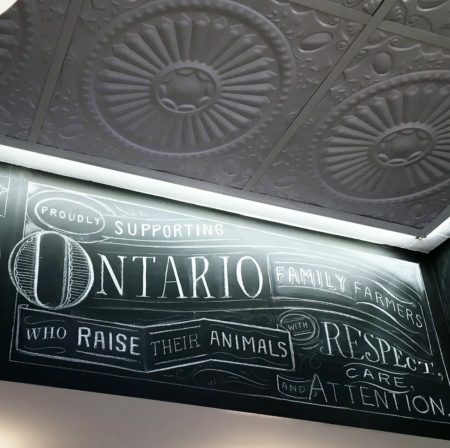 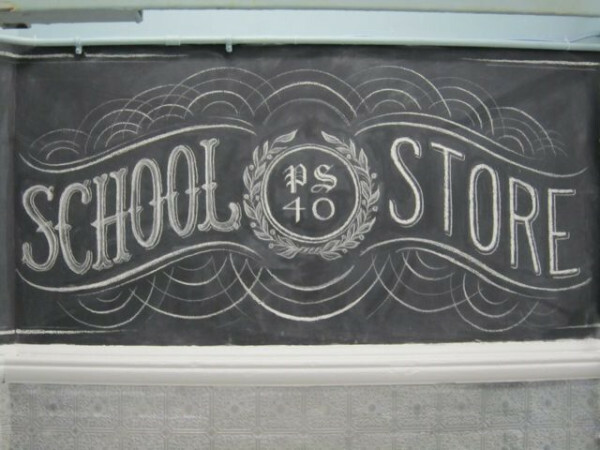 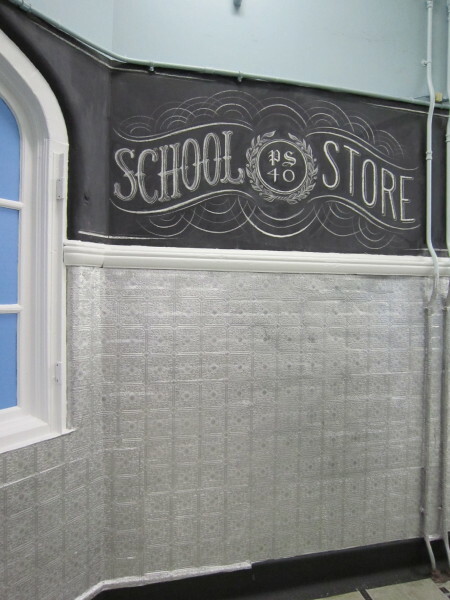 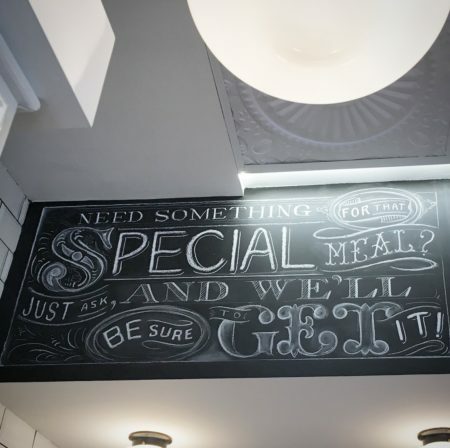 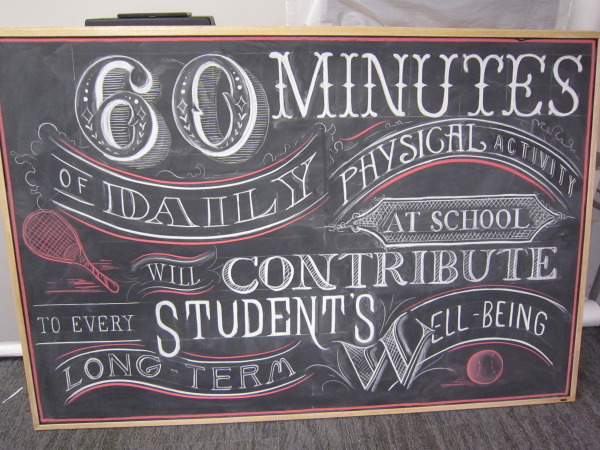 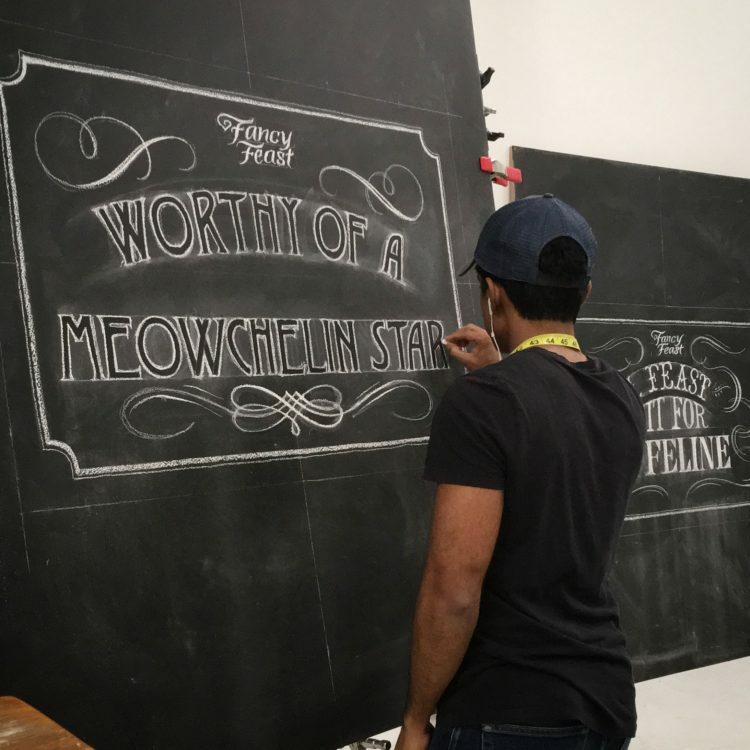 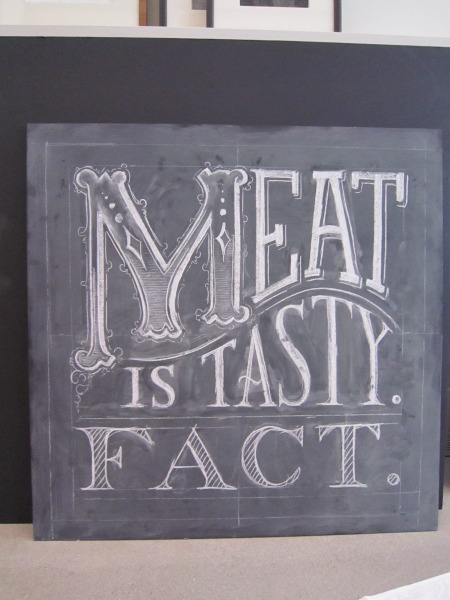 Custom chalkboards for Canadian Tire’s ‘Active At School’ campaign. 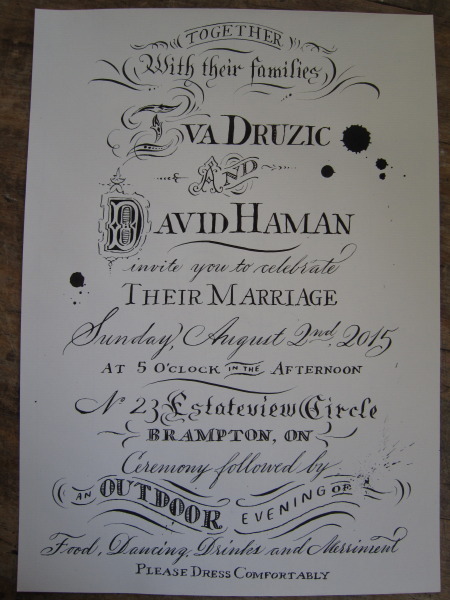 Wedding Invites : Hand lettered original, later reproduced by letterpress. 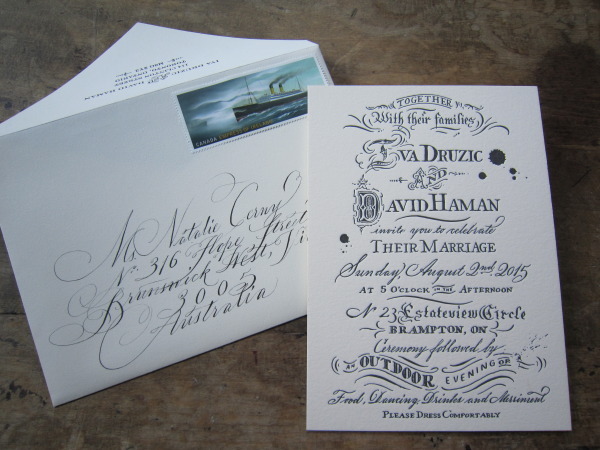 Hand-addressed envelopes, oversize commemorative postage stamps. 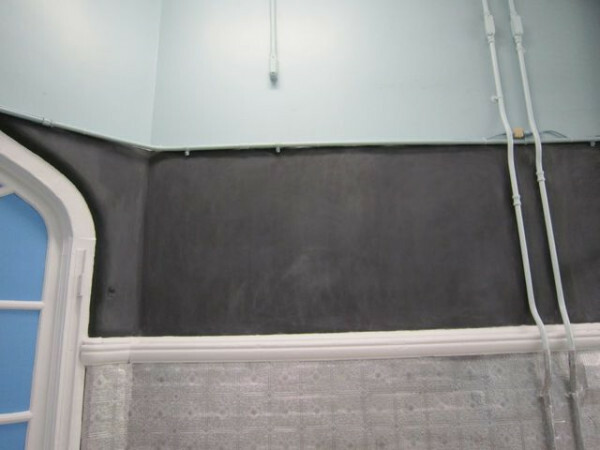 A little project for a school store in an elementary school, NY.